As most of you know, from October to November, I will be taking part in the House Millar Virtual Book Tour. Today, we are joined by the wonderful Aine P. Massie to talk a little about one of her fondest childhood memories and the inspiration behind the House Millar series. Curious? Why don’ t we get this show started? Hello and thank you for supporting the virtual book tour for both Blood’s Voice (House Millar #1) and the soon to be released Blood Bound (House Millar #2). Both books are paranormal romance featuring the strange and eclectic House Millar. I appreciate the honour. I’ll begin by letting you into a little of my life. Demijel asked me to share one of my fondest childhood memoires and so I will offer you each a virtual bowl of pineapple sherbet, a comfy seat, and a warm blanket to curl up in while you ‘listen’ to me ramble a bit…. To see the entire post, visit the site by clicking on any banner or by clicking HERE. Make sure to comment, Demijel loves to hear from you guys! Hello ladies and gents! This here post is a little stop for Aine P. Massie’s House Millar blog tour. She’s the fabulous author of Blood’s Voice and Blood Bound, the first two books in the series. I’m here today to bring you a little taste of the novels, two excerpts: one from Blood’s Voice, and one from Blood Bound. Make sure to visit often as there will be a giveaway at the end of this tour! The lovely Demjel of Breaking Bookshelves has posted excerpts from both Blood’s Voice and Blood Bound. 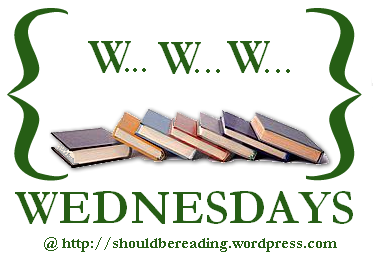 Stop by to read all the fun by clicking the banners or by clicking HERE. 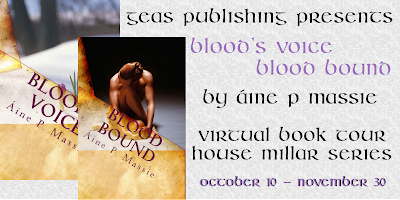 I am pleased to participate in Áine P. Massie’s Virtual Book Tour for Blood’s Voice (Book #1) and Blood Bound (Book #2) of the House Millar Series presented by Geas Publishing. Welcome to Darlene’s Book Nook, Áine! We are doing something a little different today. Rather than an interview or guest post, we are going to do a Character Interview with my favourite character from Blood’s Voice. Thank you for allowing me this inside peek into what makes you, you. Settling down in the chair across from me, I note Nicholas is dressed in tight black slacks, hair styled perfectly, leather bracer on his right wrist and over-sized watch on a biker band on the other, topped with a dark blueberry silk dress shirt. The shirt was unbuttoned more than just the collar and at the bottom just a little. Thank you for the invitation. I love your site, by the way. 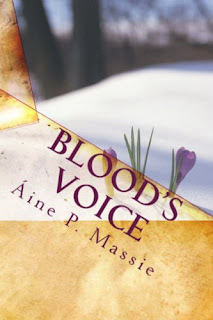 Now to the fun part… to view the interview and enter to win a copy of Blood’s Voice click on the banner or click HERE. Hello everyone! Today we have two lovely guests in Throwing Books! Anya and Declán from Blood’s Voice by Áine P Massie. They accepted to come here to talk a little bit about themselves and about their relationship, their dreams and fears. Q: I know this is a tough question, Anya when you found out that Declán was a Guardian, how did that affect you and your relationship? Did you felt betrayed, or scared, or if that changed something in the way you saw Declán? Anya: Honestly? I was terrified but not of him, for him. The way they proved to me he was more than just human didn’t help the situation either. I wanted to kill Jonathan, not a normal attitude for me, I promise. The fact it meant he was more endurent and would be better able to protect himself was a boon as far as I was concerned but the thought of him going out to fight others like me, still worries me… even now that he’s proven he can survive combat with a vampire. In same ways it has affected our relationship. Eh, before you but in Declán, let me explain. The thought that he is supposed to kill me and yet loves me instead makes me worried for him mental health at times. Will there come a day that the conflict within him causes him true pain? Will others of my kind use his ‘perceived’ weakness of loving us against him? Such things are a real concern, though he refuses to agree with me. Declán: I disagree with her on this point. I only stop or destroy those that seek to harm and kill humans. There is no conflict to me. Bad vampire – dead. Good vampire – not dead. Anya: See what I mean? He’s very stubborn on his view of vampirism. To read the entire interview click on the banner or click HERE. 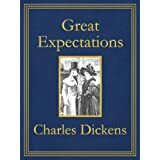 That would have to be “Great Expectations.” I had to read it in class back in 9th grade and it was long, tedious, and agrevating. Of course, I think most of the problem came for the fact we had to read out loud and everyone read a piece. I don’t even enjoy listening to books on tape or CD so this, to me, was murder, lol. Add in the fact that not everyone was the best at reading in front of a class… Yeah. Mind you, one I finally got a chance to sit down and read it all on my own I found out that I actually liked the book. I just wished that the reading aloud part was skipped, no matter why the teacher thought it a good idea. Hello everyone! First, let me say thank you to everyone stopping by. I’m in the middle of a virtual book tour for both Blood’s Voice (House Millar #1) and the soon to be released Blood Bound (House Millar #2). Both books are paranormal romance featuring the strange and eclectic House Millar. Today you will find a review for Blood Bound here at Laced Little Muffin’s Reading Corner so I thought we could discuss a little about the vampire world found with this series. … To read the entire post about the Vampire Houses and World in the House Millar series please visit Laced Little Muffin’s Review Corner. Also, take a moment to check out all Kyanara Night has to offer by clicking on the banner or HERE. 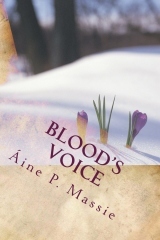 For the duration of the Combined Book Tour she is offering 25% off “Blood’s Voice”. Awesome book!!! and a very good prequel to the first one. If you liked the first in, you must read this book to. Visit Laced Little Muffin’s Review Corner to view entire review as well as check out all Kyanara Night has to offer by clicking on the banner or HERE. Our winner of an Ecopy of Bloods Voice is… msmjb65!